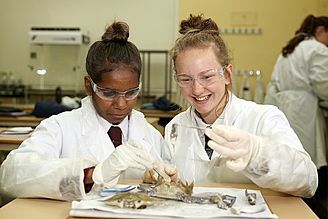 Kardinia International College is one of Australia’s high achieving world schools. 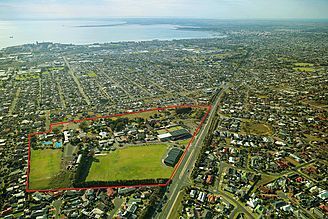 It is a private co-educational, non-denominational school located in Geelong, one hour’s drive from Melbourne. There are approximately 1900 students from Kindergarten to year 12. The vast majority come from the local region, with just approximately 58 students coming from various overseas countries. The main campus on Bell Post Hill, has a beautiful learning environment of 52 acres of gardens, first class buildings and sporting facilities. A new state-of-the- art indoor Aquatic Centre was opened in 2016. Kardinia Grove, our Year 5 campus opened in January 2017. All Year 5 students study here daily. It is a rural campus with many paddocks and animals such as chickens, sheep, goats, cows and alpacas. Kardinia Sum Pun, a campus in Chiang Mai Northern Thailand, is where Year 9 students go for an eight week programme of self-discovery and reflection in a different culture. Students apply to go on this journey, it is not compulsory. Kindergarten, Pre-School and Junior School children study the International Baccalaureate Primary Years Programme. The vertical curriculum for Years 7 – 10 is a very modern, flexible and broad curriculum, where each student studies according to their abilities, not necessarily their age. Year 12 students are able to choose to study either the International Baccalaureate Diploma (IBDP) or the Victorian Certificate of Education (VCE) for year 11 and 12 students. The extremely dedicated teachers are always ready to help students at any time. Outstanding academic results each year are achieved in both the VCE and IB. Our IB results are always well above the world average and our VCE results are often the best in the whole region. Many extra-curricular activities are on offer in the musical, cultural and sporting programmes. Kardinia International College prides itself as having a very friendly and safe environment allowing students to achieve high academic results. 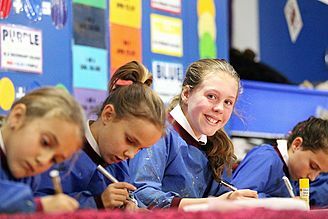 Kardinia International College is a well-established PYP school that was authorised over 10 years ago. The College has developed units of inquiry which are academically challenging and focus on the development of the whole child. The programme of inquiry ensues all areas of learning are explored and that students are given the opportunity to inquire deeply into issues and content that are relevant and engaging. 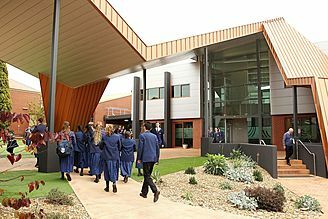 One unique element of the Programme Of Inquiry at Kardinia International College is Kardinia Grove. 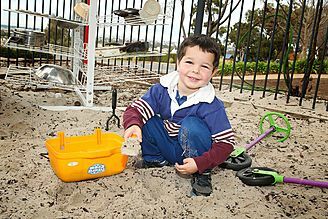 Kardinia Grove is a separate, purpose built campus for students in year five to spend time learning about themselves, community and the environment. Six units of inquiry have been developed that maximize the unique learning environment of this campus. Kardinia International College has been offering the International Baccalaureate Diploma Programme (IBDP) over a decade, a senior study pathway option offered alongside the Victorian Certificate of Education (VCE). During their two year IB Diploma studies, a student will undertake three Higher Level (HL) and three Standard Level (SL) subjects. In addition, students will complete the core components of the Extended Essay, Theory of Knowledge (TOK) and Creativity, Activity, Service (CAS) of the Diploma. In selecting their IB subjects, students must make realistic and informed choices. Realistic in that their choices are based on an honest assessment of their capability to successfully complete the chosen units. Informed in that they are selected after careful consideration of the student’s career aspirations and the prerequisites for entry to such careers. To maintain a wide range of options students should undertake a Mathematics unit at the highest level of their capability. Kardinia International College has made a commitment to offering the internationally recognised IB Diploma to students, with small class sizes and experienced teachers. The school has seen much success through the development of its students in displaying the positive attributes of the IB Learner Profile, producing balanced, inquiring and reflective life-long learners upon graduation from the College.